April is here and far away from those winter days and nights! I don’t know about you, but I am glad Old Man Winter has hit the road. Missing the sun and warmth of summer in the Shenandoah Valley. 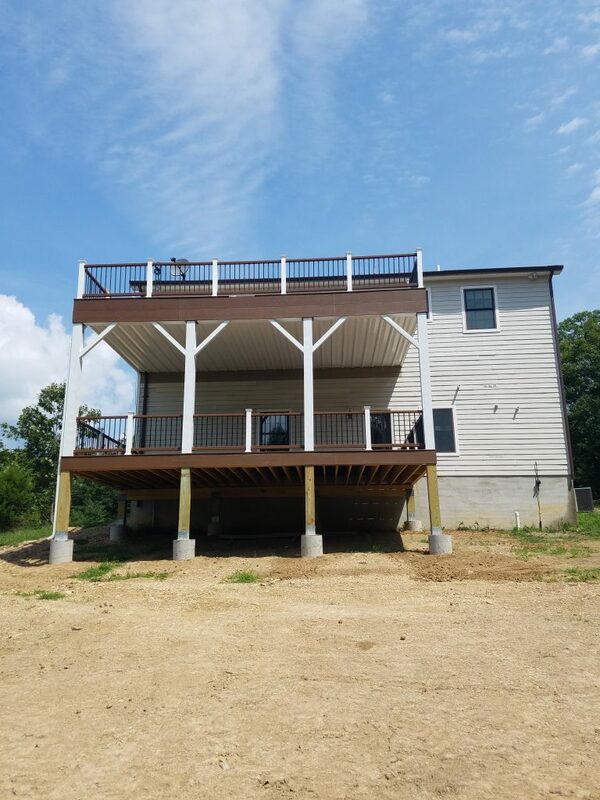 Which brings me to my blog post for today, a deck we put on a home on Stephen Road in Fort Valley, VA.
Last summer this homeowner contacted Valley Builders to build a two-tier deck onto the back of their home. When the home was constructed they had already planned doors to enter the deck, so that part was out of the way. Now they needed the deck part! They wanted it to be durable and have the first floor protected from the elements to make it a usable space. We decided the best way to achieve that was to use a TimberTech Rain system to prevent run-off from the upper level from reaching the lower level. Will come in handy if it is another wet year! Valley Builders engineered this 27×16 foot deck by utilizing five 2×12 beams in conjunction with 2×12 joists on center. With this support in place we opted to use Trex railing and decking to complete the structure. Trex is luxury decking that is highly customizable while being ultra durable. I think it takes decking to the next level, what do you think? This attention to quality and details is what we strive for at Valley Builders. We want to deliver our customers the best possible job we can, and provide them their dream space. 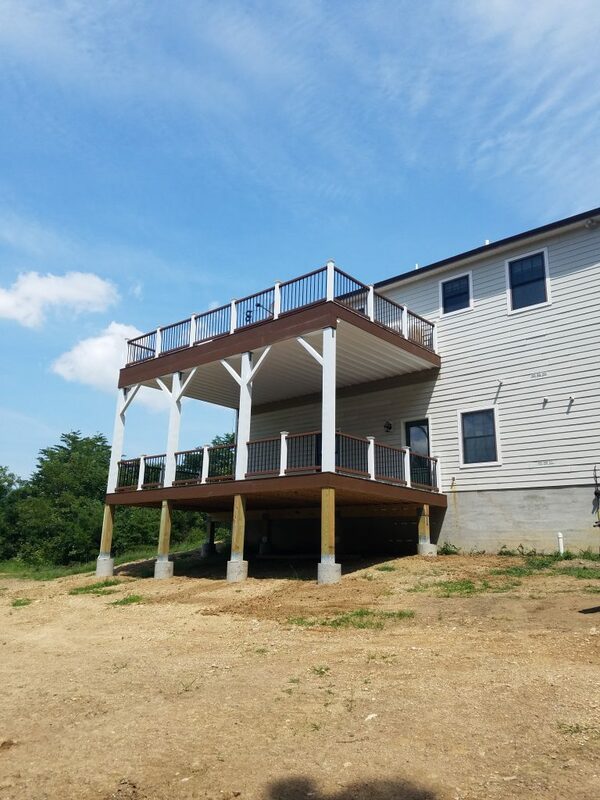 In the case of our Stephen Road family, we have a feeling their deck is going to be a place for them to gather, sit back, and enjoy the beautiful Massanutten views. Come on warmer weather!!! You ready for summer deck weather? If not, reach out to us for a quote today.